The job creation potential of solar power | West Coast Solar, Inc. Solar energy has been an enormous success in California. The state leads the nation in solar generating capacity and solar industry employment, and it also has the most friendly legislative climate for renewable energy. 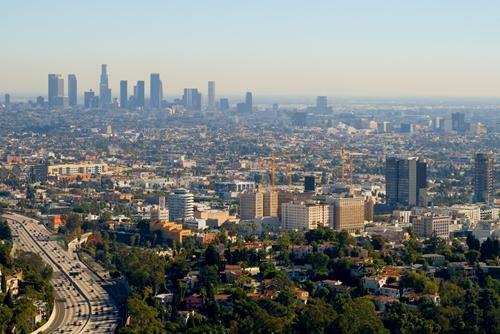 But according to a report by the UCLA Luskin School of Public Affairs and commissioned by the Environmental Defense Fund (EDF), the state’s leadership in the industry has the potential to expand well beyond where it is currently. All we have to do is realize the untapped generating potential of Los Angeles rooftops. The study, titled “Los Angeles Solar and Efficiency Report (LASER): Atlas of Investment Potential for LA County,” says that if only 5 percent of LA’s solar capable buildings were developed into solar rooftops, it would create 29,000 jobs and generate enough electricity for 287,000 homes. Overall, Los Angeles County has the capacity to install 22,984 megawatts of solar panels on non-solarized rooftops. The study’s authors also created an atlas that shows rooftop solar potential throughout the region. Hopefully, as more families and businesses learn about how solar can help them save thousands of dollars in electricity costs, solar developers will be able to start tapping those unused resources and help the state move forward with its clean energy goals. For more information on how your family can benefit from solar power, contact West Coast Solar today!